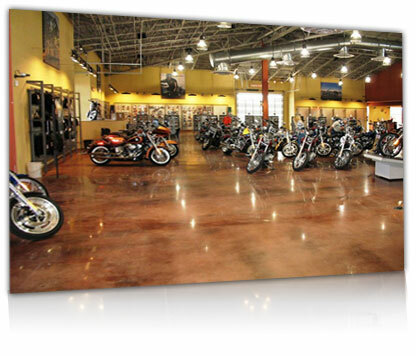 Polished concrete floors provide an extremely durable yet beautiful experience. Combine these benefits with affordability and polished concrete should be your only flooring choice. 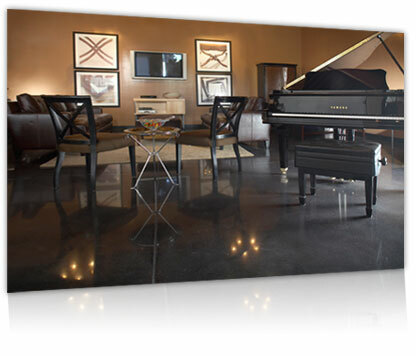 A polished concrete floor will distinguish a room in unparalleled style. Various colors retain a high gloss finish that mimics natural stone. Preferred Concrete Polishing prides itself on the quality of its work and the professionalism of its employees. With more than 20 years in the concrete flooring industry, Preferred has the experience to handle your polishing project. Whether you have an existing floor that is in need of concrete resurfacing, or you are constructing a brand new building, concrete polishing is the perfect flooring option. Easy to maintain, durable, and beautiful; polishing concrete finishing is a great fit for any commercial or industrial application from restaurants to warehouses to manufacturing facilities. Please take some time to browse our web site to learn more about the benefits of concrete polishing and why Preferred Concrete Polishing should be your flooring contractor. Operating out of the Greensboro/Piedmont Triad area, we proudly serve customers nationwide! 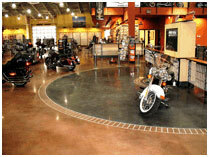 Just give us a call at 336-992-5600 or Contact us today to get a quote on our concrete polishing services.